This is the second of two blogs on wildlife along the Arkansas River. Check out last week’s post, A Guide to Wildlife Along the Arkansas River. Colorado wildlife is frequently most active in the early morning hours and around sunset. Particularly in the heat of summer, birds, sheep, and even fish choose the cooler temperatures at dawn or dusk to come out of hiding and look for a meal. Some of your best opportunities to spot Colorado’s wildlife come during a rafting trip. While a day rafting trip is awesome, an overnight trip is even sweeter. 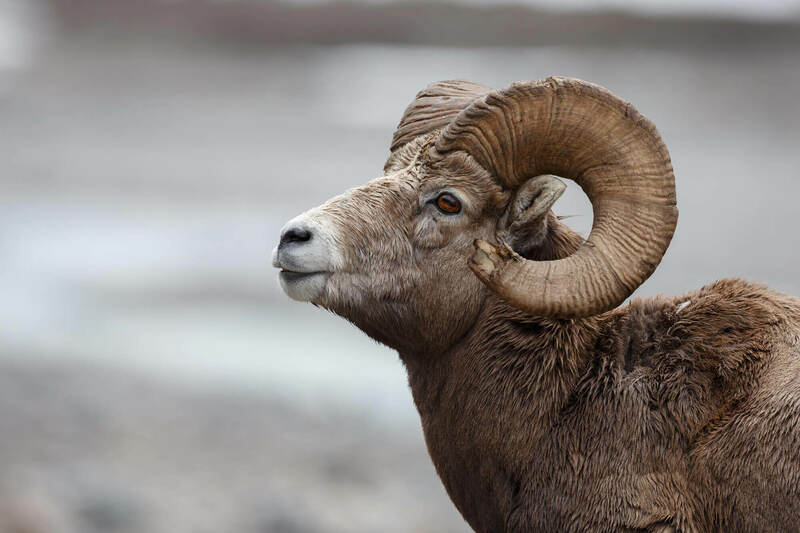 You’ll already be out in the wild, camped along the river right where bighorn sheep come to drink, raptors soar above to spot prey, and fish feast in the calm eddies behind rocks, making your odds of seeing wildlife even greater. Give them a little space. Observe animals from a safe distance—safe for you and safe for the animals. You can get a close-up view by using binoculars, a spotting scope, or a camera with a telephoto lens. Learn their language. If the animals you are observing have their heads up, ears pointed toward you, or appear ‘jumpy’ or nervous when you move, you are probably too close! Sit or stand very quietly, without making eye contact, or move slowly away to a safer distance. Use the animals’ behavior as a guide. Limit the time you spend watching if animals appear to be stressed. Avoid animals that behave unexpectedly or aggressively. They may be ill, injured, or have young nearby. Watch out for mama bear. Be especially sensitive to and cautious around adults animals with youngsters nearby. Take it slow and easy. Move slowly and casually, not directly at wildlife. Allow animals to keep you in view and do not surprise them. Avoid eye contact – watch from the corner of your eye instead. Can’t we all just get along? Never chase or harass wildlife. Harassment of wildlife is unlawful and can be extremely harmful. Dogs and wildlife don’t mix well. Leave your pets at home. At best, their presence hinders wildlife watching. Worse, they can chase, injure, or kill wildlife, or be injured or killed. We share the earth with others. Respect people nearby who may be viewing the same animals. Watch, don’t feed. Do not feed wild mammals. Reserve feeding for “backyard” birds. Not all land is free rein. Respect private property. Ask for permission to access private lands before your viewing trip. Even wildlife needs a nap sometimes. Animals at rest need to remain at rest. Don’t do anything that might make them move. Remembering and following these tips for observing animals in the wilderness will ensure that your wildlife viewing experience this summer is a magical one. If you want to scope Colorado’s native creatures from a raft, American Adventure has got you covered. 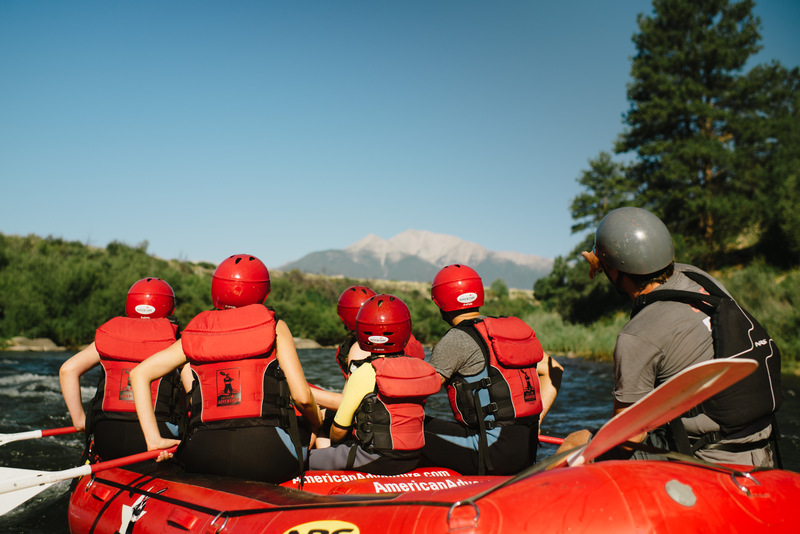 Browse our day and overnight rafting options!